Washing your dishes can be a chore, but with our set of two specially woven, netted Dish Cloths you can do your dishes and so much more, with ease! 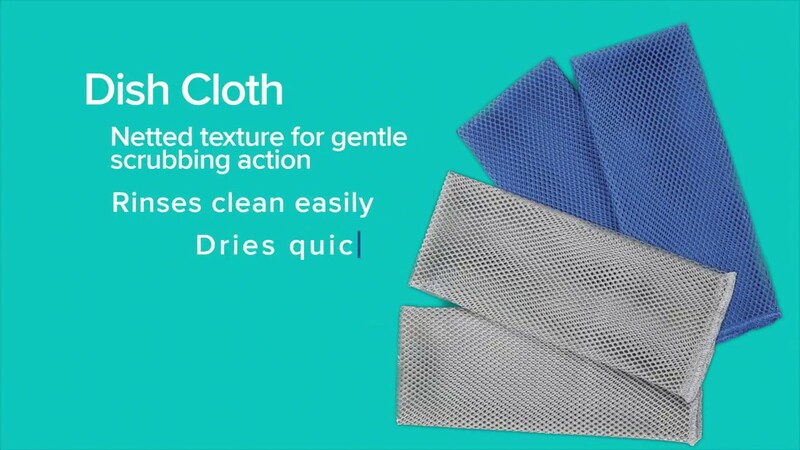 Great for everyday use, these non-absorbent cloths will do some heavy-duty cleaning anywhere scrubbing action without a lot of water is required. They're great for removing flour, dough and other sticky substances from benchtops after baking. Set of two, so you always have one handy.